Alice Anna Owens, 93 of Midland, died Saturday evening, October 20, 2018 at her home surrounded by her family. She was born June 16, 1925 in Midland, daughter of the late Fred A. and Emma (Schaefer) Berlin. Alice attended Midland schools and graduated from Midland High School. On June 5, 1948, she married Paul J. Owens in Midland. He preceded her in death December 14, 1982. Alice and her husband, Paul, owned Owens Party Store, where she continued to work until retiring at age 72. She was an avid Detroit Tigers fan and also enjoyed gardening, ceramics, and traveling. Alice was a very kind and generous woman, donating her time and resources to those in need. She volunteered at St. Brigid of Kildare Catholic Church, including the Felicia Guild, Studley Grange, Chippewa Nature Center, and many Midland nursing homes such as Riverside Place, Midland King’s Daughters Home, Stratford Pines, and Pinecrest Farms. Alice also spent 18 years volunteering as part of the Reading Program at Floyd Elementary School with first grade students. Although she spent many hours giving back to the community, Alice was devoted to her family. Nothing gave her more joy than spending time with those she loved. 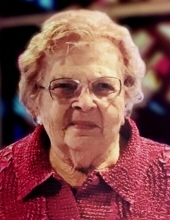 Gathering the family together, spending time at the cabin on Wixom Lake, and teaching her grandchildren how to play Euchre were the precious moments she always cherished. Alice is survived by her eight children Jim Owens, John Owens, Joe (Nancy) Owens, Jerry (Reba) Owens, Pat Owens, Kathy (Dave) Graebner, Diane (Phil) Tacey, and Jane (Jim) Avery; 20 grandchildren Heidi (Tim) Jacobson, ZeTong Ouyang, Chris (Linda Pomranky) Owens, Kelly (Bryan) Keene, Robert (Katty) Owens, Laci (Jeff Root) Warren, Jason (Caryn) Owens, Justin Owens, Jamie (Theresa) Owens, Marisa (Nick Bank) Owens, Jenna (Conner Hogue) Owens, Christina Owens, Angela Owens, Jessica (Matt) Robinson, Bryan (Kim) Owens, Greg (Steve) Graebner, Tara (Luke) Williams, Rachel (Brent Shinkle) Owens, Kelsey (Aaron) Allen, and Susan (Dakota Holman) Avery; and 19 great grandchildren Tyler Jacobson, Lauryn Jacobson, TJ Jacobson, Nick Keene, Zach Keene, Zoey Owens, Caleb Owens, Kayla Warren, Jesse Warren, Taylor Owens, Lydia Owens, Ethan Owens, Aubrey Owens, Liam Bank, Landon Williams, Taylor Williams, Charlee Ferguson, Lilah Shinkle, and Lexi Allen. She is also survived by her cousin Emma Badder, sisters-in-law Florence Berlin and Mary Berlin, as well as many beloved nieces and nephews. In addition to her parents and husband, Alice was preceded in death by her brothers Carl Berlin and John Berlin. The Funeral Liturgy will be celebrated at 11 a.m. Thursday, October 25, 2018 from St. Brigid Catholic Church, 207 Ashman Street. Father Andy Booms will officiate with burial to follow in New Calvary Cemetery. Alice’s family will receive friends at the Ware-Smith-Woolever Funeral Home, 1200 West Wheeler Street on Wednesday from 4-8 p.m. and at the church on Thursday from 10 a.m. until the time of Mass. The Rosary will be prayed at the funeral home on Wednesday evening starting at 7:30 p.m. Those planning an expression of sympathy are asked to consider the Alice Owens Scholarship fund for Bullock Creek Schools. To plant a tree in memory of Alice Anna Owens, please visit our Tribute Store. "Email Address" would like to share the life celebration of Alice Anna Owens. Click on the "link" to go to share a favorite memory or leave a condolence message for the family.